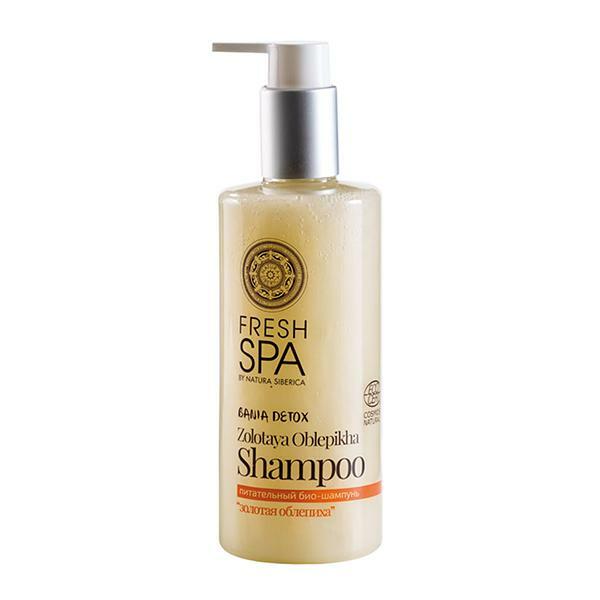 Nourishing Bio Shampoo, enriched with organic extracts of wild Siberian herbs, delicately cleanses and intensively moisturizes hair. It helps repair hair structure and protect from thermal influences making hair smoother, more elastic and manageable. Organic sea-buckthorn oil is a great source of vitamins and amino acids that nourish and help to restore hair, making it look stronger and shinier. Being rich in vitamins A, B, V and E, organic lungwort extract helps nourish hair and keep moisture in hair structure. Magnolia vine extract has toning effect; it helps fill hair with strength and energy, natural shine and beauty. Love it, does it work.